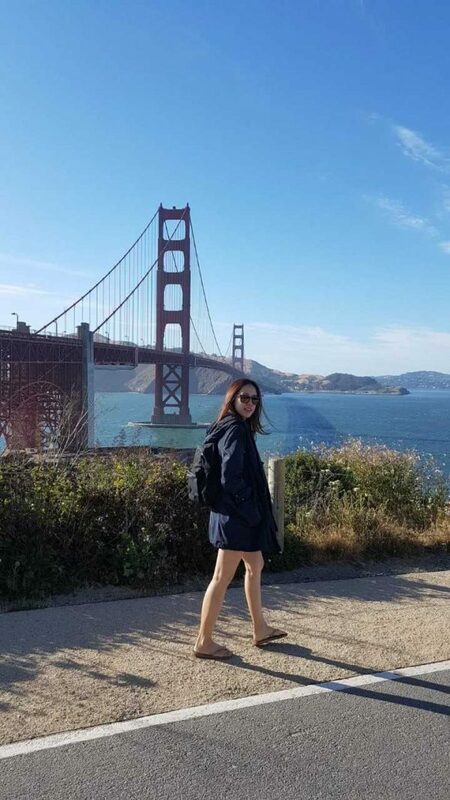 In 2018, I made a big decision that was to quit my of 5 years job to join EC San Francisco to learn English. I’d learned English for over ten years, but both of my communication skill and grammar are the weakness. “Lack of confidence” is the most important reason. As a result, I can communicate with people who are from different countries without fear now which is the result that I’ve ever thought. There are two reasons why I feel my English Communication skill is better than before. First, I studied hard by myself and with the EC teachers’ support. I still can remember the first week in EC. I seldom gave my points of view during class because I was afraid I’d say something incorrect. Moreover, I felt a little stressed due to other classmates speaking better than me. On the positive side, I studied harder than before, tried to improve my English more and more. One thing I want to highlight is Ryan truly cares about how student feel studying at EC. When I came to EC for about one month, I submitted a questionnaire about how satisfied you are in EC. I wrote that I hope my teacher can correct my grammar and vocabulary anytime in class. After only one day, Ryan called a meeting with me and said that he had already passed my requirement to my teacher. Surprisingly, I could feel teacher put more efforts on the things I want to improve later on, which helped me a lot. Last but not least, I use English as much as I can. Many students come from all over the world. I used English to communicate with them to know more about their countries, lifestyle..etc. Luckily, EC students are friendly because of EC’s friendly environment. I joined many of the school’s FREE activities to meet students from other classes. That’s why I made so many friends from Asia, South America, and Europe. If I hadn’t decided to study here, I wouldn’t have had this opportunity to meet those amazing people. To sum up, studying at EC is a wonderful experience for me, which helps me build my confidence in English. If you haven’t decided where to study English, I believe EC will be one of your smart choices.